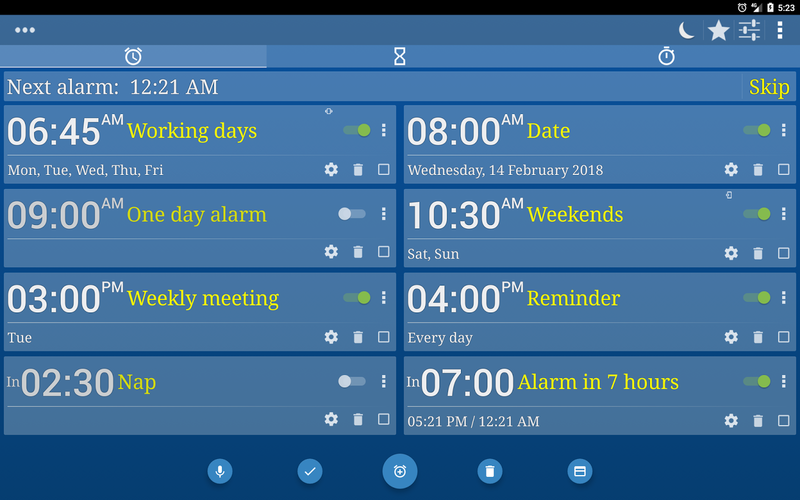 Alarm Clock Millenium is a FREE android Alarm Clock + Stopwatch + Timers App that will make you wake up refreshed and solve all your timing needs. "It is scientifically proven that waking up with suddend loud alarm is very bad for your heart. 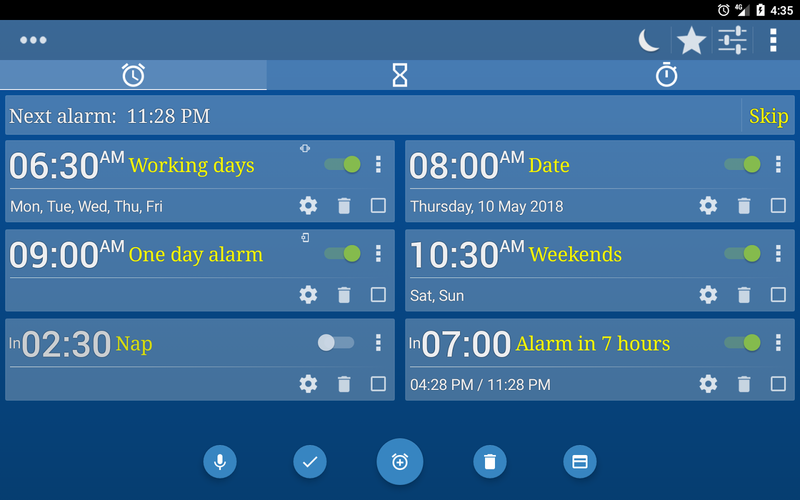 The solution comes with Alarm Clock Millenium : Thanks to the gradual increasing volume and brightness features, you will wake up in a very gentle way and feel refreshed all the day". 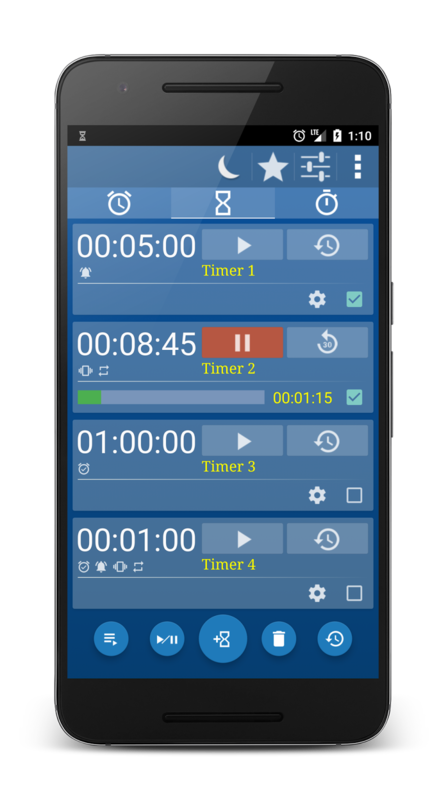 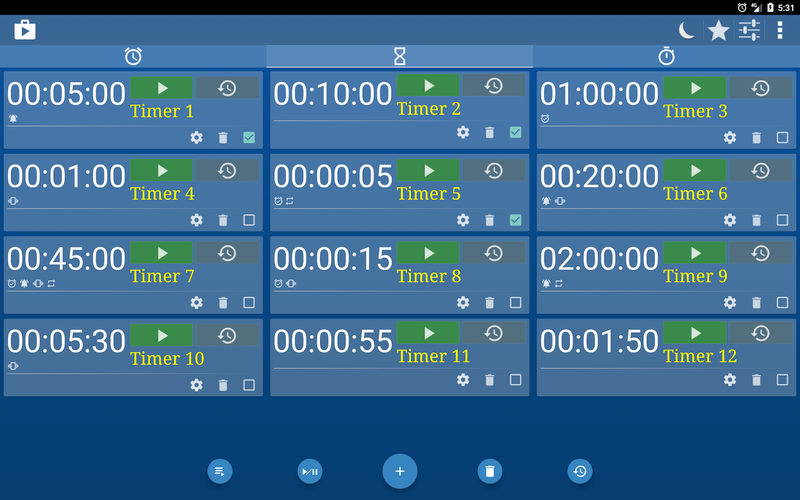 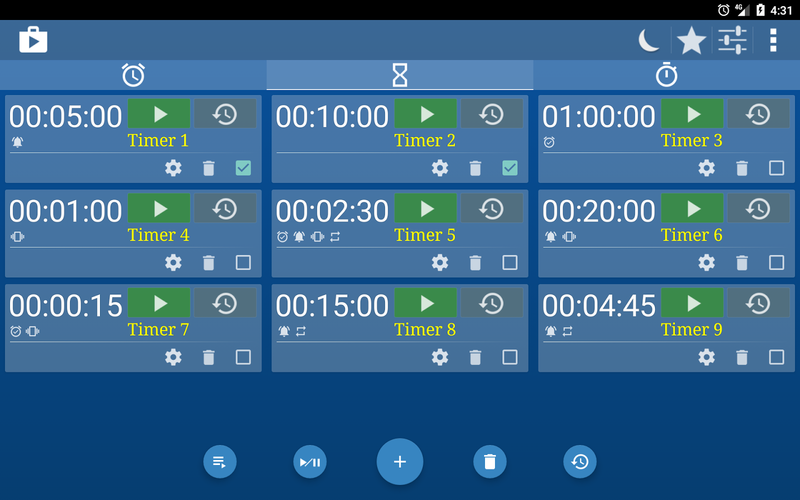 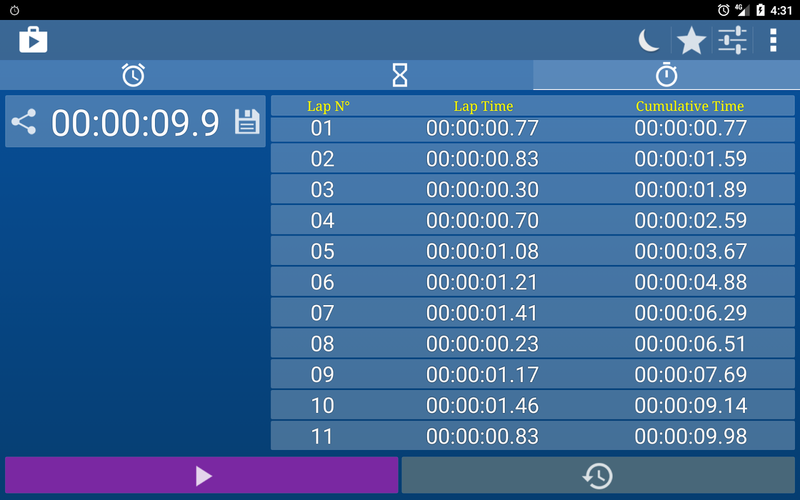 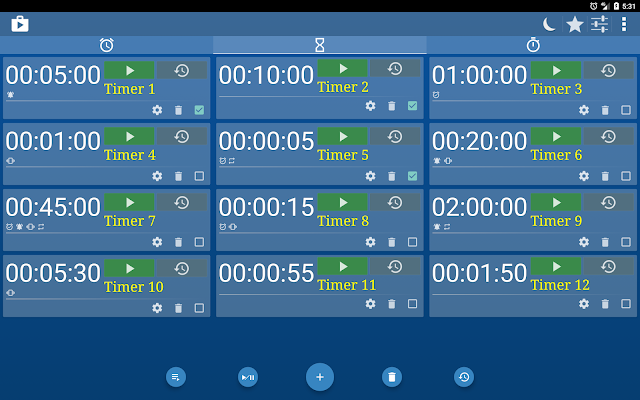 Timers & Stopwatch are also available as a separate app for FREE. - "Network permission" for weather, voice recognition and Ads. 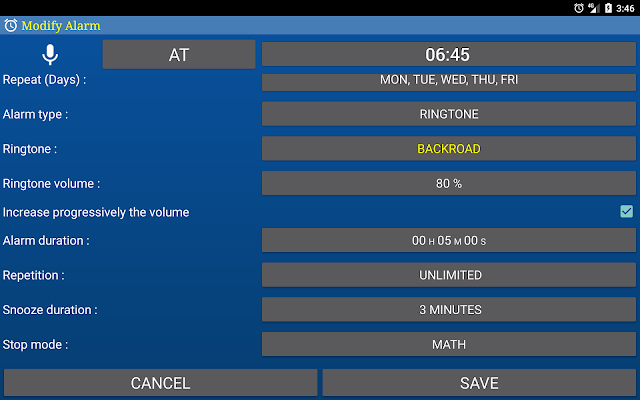 - "Read/ Write external storage" for backup and restore options and reading audio files on alarms. 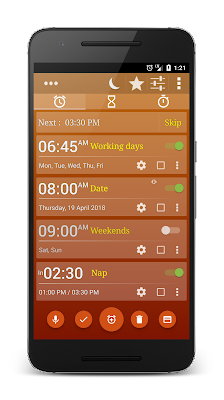 - "Wake Lock" to Turn On the screen when alarms go off, Keep screen on when flashlight is on. - "Disable Keyguard" to unlcock the phone temporarily when alarms go off. 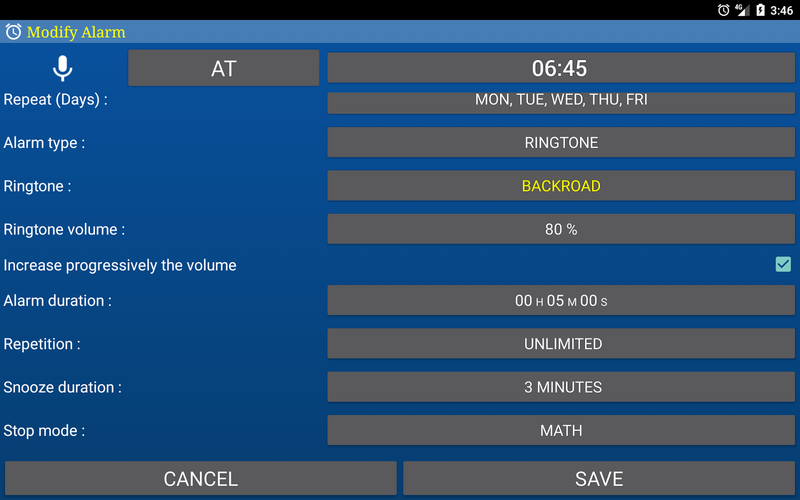 - "Read phone state" to silence the alarm if you are in a call. 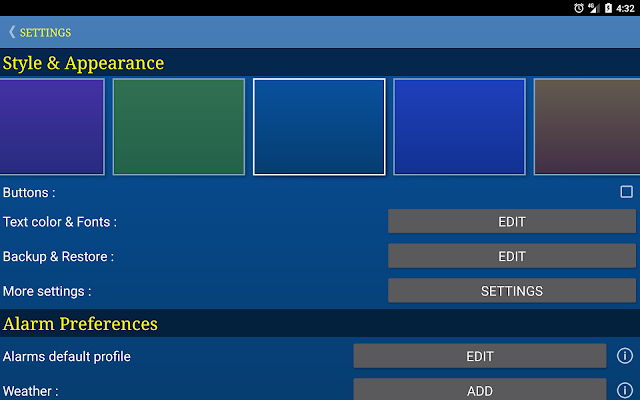 - "Receive boot completion" to reset alarms as they will be lost after rebooting or turning off your device. 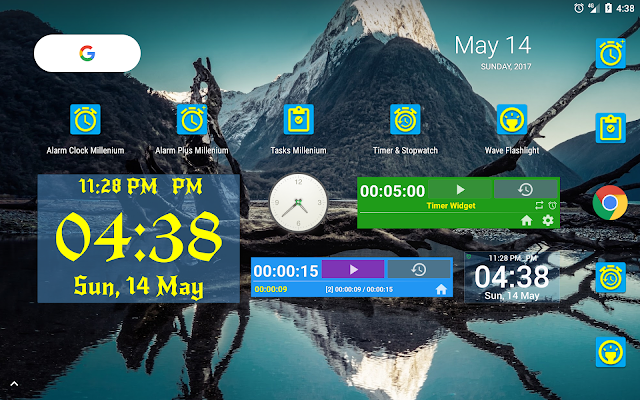 - "Modify system settings" to save the next alarm on system (to get it on any widget).